If the sink faucet doesn’t work well, take off the aerator (that little cylinder screwed on the end of the spout) and see how the water flows without it. If the water flow is fine, clean or replace the aerator. If the water flow is still bad, the problem is downstream. 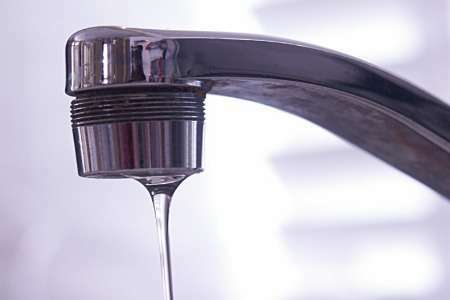 This is a little bit of trouble, but if you want to see if a faucet is plugged up, shut off the valves to the sink, disconnect the supply pipes from the shutoff valves to the faucet, point them into a bucket, turn the valves on, and see if a lot of water comes out. If it does, may be the problem is inside of the faucet. If not, it is the supply valve or supply piping that is plugged. You can test for low water pressure by buying a water pressure test gause with a hose connection, and screw it on to a hose faucet. Test it with all fixtures in the house off.. I consider 45 or 50 psi on the low side, 60 good, above 80 is too much. Also, a pressure boost system can be installed in the house, and this works pretty good..
You can try to diagnose your low water pressure problem on your own and test solutions to see if it resolves the problem. 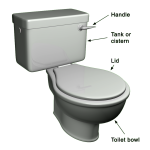 The bottom line is, if you cannot correct the problem on your own then you are going to have to hire a professional plumber. There are also problems that you just cannot resolve on your own no matter how much of a do-it-yourselfer you are. Corrosion of your pipes, major blockage problems, or major leaks are all problems better left to the pros.